Pace 2 sliced of bread, butter side down in skillet or griddle. 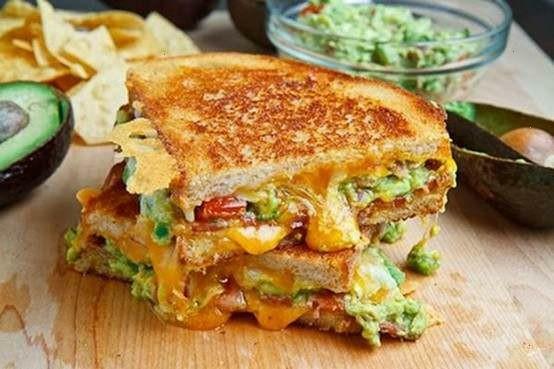 Layer with mozzarella, turkey bacon, avocado, tomato and basil. Top with remaining slices of buttered bread (butter side up). Carefully flip sandwich, reduce heat to medium and cook a few more minutes until cheese has melted and bread is golden brown. Slice in halve and serve.